Widely acclaimed for its engaging style and provocative perspective, this book has helped thousands transform their working lives. Now the paperback edition features a comprehensive 30-page resource guide that explains the basics of working for oneself. 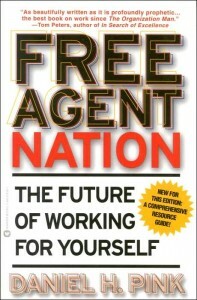 In this landmark book, Daniel H. Pink offers the definitive account of this revolution in work. He shows who these free agents are — from the marketing consultant down the street to the home-based “mompreneur” to the footloose technology contractor — and why they’ve forged a new path.